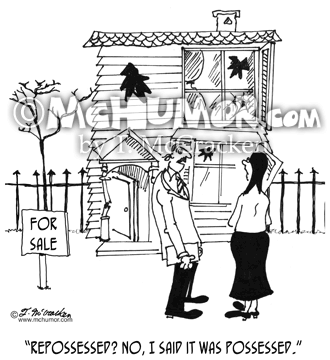 Repossessed Cartoon 6134: A realtor looking at haunted house says to a woman, "Repossessed? 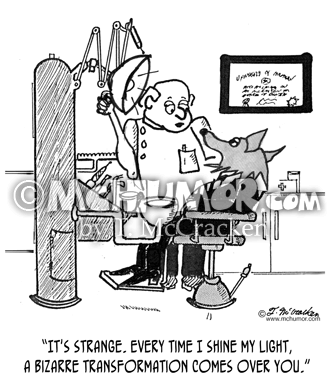 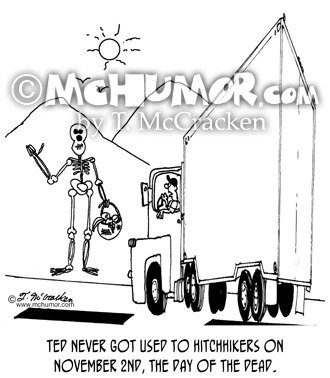 No, I said it was possessed." 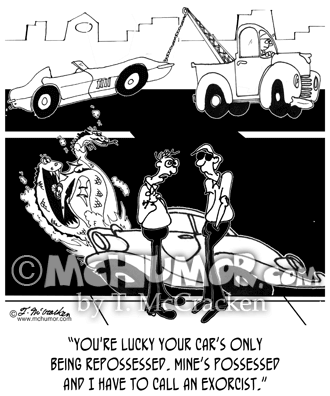 Repo Cartoon 8179: As someone's car moans and has ghosts and spirits coming out of it says to someone whose car is being towed, "You're lucky your car's only being repossessed. 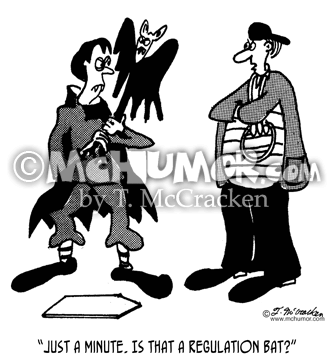 Mine's possessed and I have to call an exorcist." 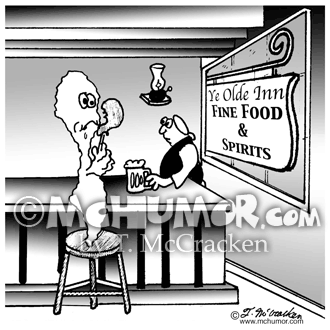 Bartending Cartoon 4335: "Ye Olde Inn, Fine Food & Spirits." 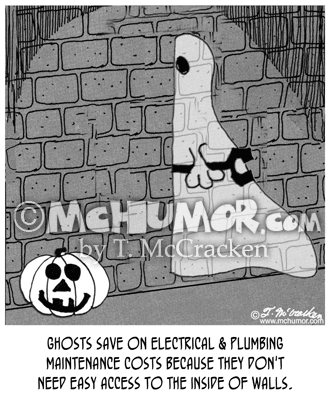 An American revolutionary colonist and ghosts drink ale in an old pub. 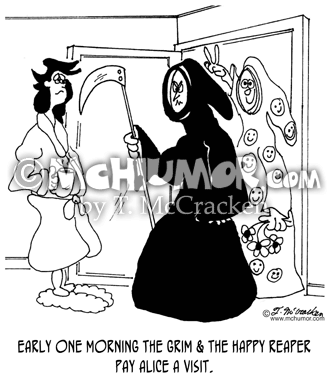 Grim Reaper Cartoon 6926: "Early one morning The Grim and The Happy Reaper pay Alice a visit." 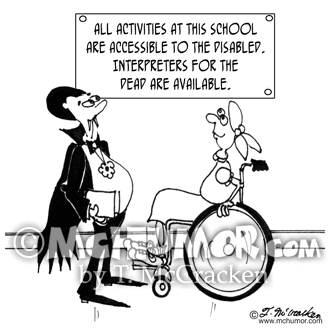 Next to the Grim Reaper in his black gown is one in a reaper in a gown with smiley faces. 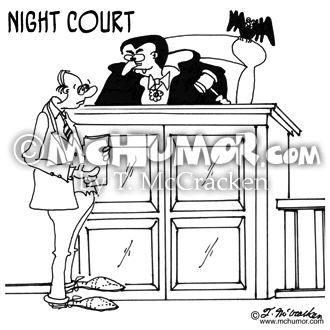 Vampire Cartoon 5319: Dracula is the judge in "Night Court."